2017 appears to be the year of big European elections. The Dutch and French have already had theirs, the UK’s is just around the corner and then the German federal election arrives in September. Even the Hungarian and Bulgarian presidential and parliamentary elections this year have generated plenty of media attention. For London, it’s the UK, French and German elections which will likely have a big impact on its economic outlook. From individual Oanda traders to local businesses and large corporations, they could all be affected by election outcomes. Emmanuel Macron became the new French President-elect after running as leader of his new, independent political party En Marche! Initial reaction to the result saw the euro fall by 0.3% to below previous highs of above $1.10, Shanghai stocks close at a near seven-month low and European stocks remain subdued. There were no sharp shocks to the system in London either, with the uncertainty that had surrounded the future of France finally looking more stable. Macron has a lot on his plate when he becomes the new French president. For London’s economy, there are two main areas which his actions and policies will affect. The first is his calls for the Le Touquet agreement to be revisited. This allows the UK and France to erect border controls in Channel ports. Scrapping it would move the UK frontier back from Calais to Kent and could signal a migration issue. The other main impact for London and the UK economy could be his tough stance on Brexit. While he has said he doesn’t want to punish Great Britain, he hopes to push through policies such as a ‘Buy European Act’ to restrict companies in the UK and other non-EU countries accessing public procurement deals. It was something of a surprise when Theresa May called a snap election for this June. However, the surprise didn’t have anywhere near as great an impact as the shock Brexit vote from nearly nine months earlier. Given the uncertainty that has been ongoing with Brexit negotiations, a general election actually provides a more stable idea for Britain’s political future. The pound rallied to its highest value in six months after the snap election was called. On the other hand, the FTSE 100 encountered its worst day since the Brexit decision was announced. After the election, assuming there is a majority winner, then increased political certainty should be guaranteed for a few years at least. For the London and UK economy though, it is likely to remain volatile, based primarily on Brexit negotiations and other European elections. At the moment, the upcoming UK general election looks to have little effect on the economy in the run-up to it. Much like with France, it will be Germany’s stance on the future of the EU which will have the greatest effect on UK economy. The election of pro-EU Macron in France could have a knock-on effect and see the re-election of Angela Merkel as chancellor, although in such unpredictable times anything could happen. 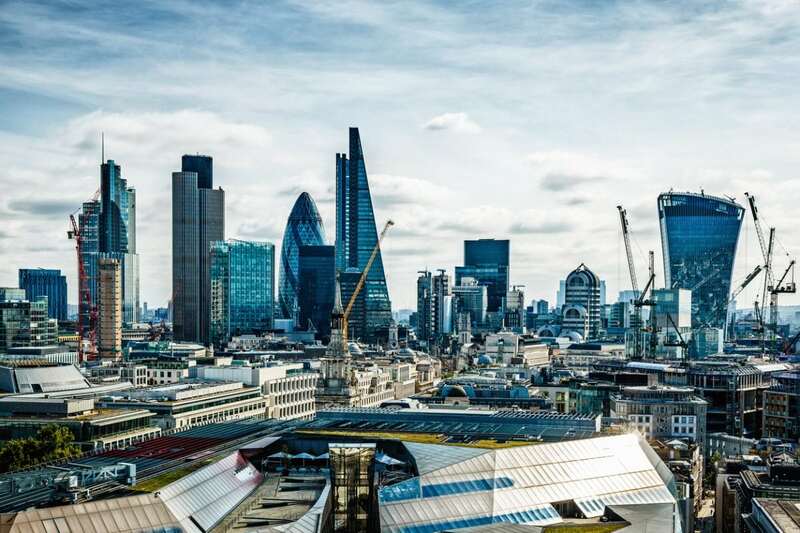 London’s economic outlook will most likely be affected depending on the result. The CDU party in Germany will offer the softest Brexit, while the SPD and Greens will be tougher and the AfD party the hardest of the lot. A coalition is predicted but for the UK a win for the CDU will be best for its economy, while a victory or coalition not including them could signal bad news. These three important elections across Europe are set to send strong shockwaves across many economies over the world, with the UK no exception.